IF YOU ARE INTERESTED EMAIL ME AT: alvinaaccline@irishhome.net . 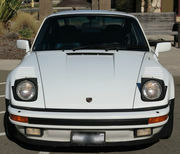 Beautiful and rare, last and only year of a 5speed 930. Same California owner since 1991. 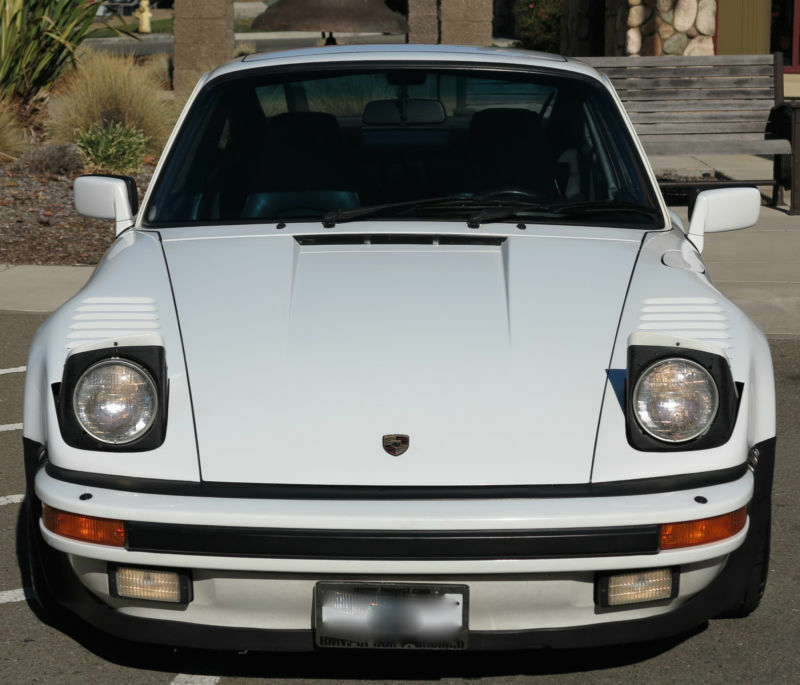 Numbers matching 1989 Porsche 930 factory 505 steel slant nose 911 turbo coupe wearing the original color grand prix white and original grey leather interior both that are in really good condition considering it's age. Having only 50k miles there are some rock chips and the leather does show some wear mostly on the driver's seat. I just finished freshening up the drivetrain to include new Bridgestone Potenza RE-11 tires in the correct sizes just installed, just serviced with a new clutch, spark plugs, Swepco oil, valve adjustments, air filter, air pump belt and rear crankshaft seal. The motor runs strong and pulls hard when the turbo kicks in and the 5 speed transmission shifts smooth thru every gear with ease. 16x7 Fuchs and 16x9 Fuchs, A/C blows cold, power windows, power door locks, power mirrors, factory sport seats, power seat height adjustment left and right, power sunroof and nice aftermarket stereo with MB Quart separate speakers and Precision Power amplifier. 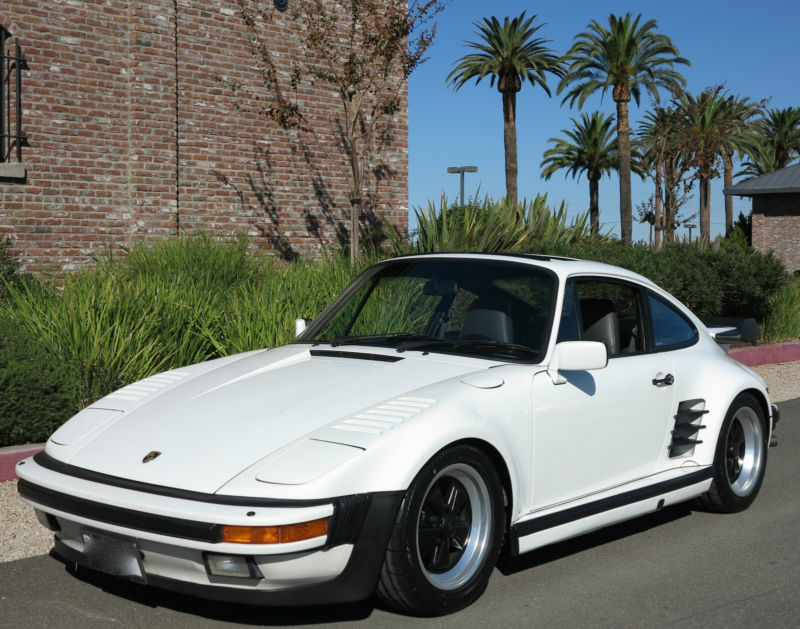 Don't miss this rare opportunity to own and enjoy a classic Porsche 911 930 turbo coupe. Comes with Porsche Certificate of Authenticity, tool bag, owner's manual, warranty & maintenance manual, Slant Nose option supplement to owner's manual, Blaupunkt Reno SQR 46 manual and a 1989 Porsche boutique & accessories booklet all of which can be seen in the photos. Please inspect all pictures you see here along with (184) more pictures available to view by clicking on the slideshow or "View all" below. This car is sold AS-IS-WHERE-IS with NO WARRANTIES WRITTEN NOR EXPRESSED. This car is located in Pleasanton, California for any inspections. Please email any questions.